Well known for it’s calming and clearing properties. Supports self esteem and encourages confidence and enthusiasm. Helpful during times of seasonal pollen allergies. Can help ease respiratory agitation. Yes! Blue Tansy IS KidSafe. Dilute to 2-4% and apply topically to help soothe and clear congested skin. Add 8-12 drops to a personal inhaler and inhale as needed. Clary Sage, Coriander Seed, Geranium Egyptian, Juniper Berry, Laurel Leaf, Lavender, Petitgrain, Rosalina, Rose Absolute, Spearmint, Turmeric CO2, and Ylang Ylang Complete. Recently I got this oil in my last purchase. My first pricey oil. Didn’t have plan to use this yet but when sniffle stopper n sneezy stop didn’t help much for my son, I didn’t blue tansy with Rosalina n sweet orange n it helped him breathe better with immediate stopping of dripping mucus. Didn’t care much for the smell and hoping to use it soon for a face serum but it did stain my diffuser badly. Love this though hated the smell at first sniff but returned to it a month later & it smelled heavenly. Used in a face serum & it has helped alot. Had a infected cut on my finger that just wouldn’t heal (over 6 months), tried some blends for wounds/inflammation but it didn’t really help. One night forgot to bring it up to bed so I used my face oil instead & next morning over 1/2 the swelling was gone. My face mix was heavy on the blue tansy because I still can’t get the hang of getting just a drop at a time out of PT’s orifice reducers & it poured out before I could stop it. My face oil was very blue! But my finger is practically healed. I’ve been experimenting w/blends for scents & tried 1 drop each PT blue tansy, vanilla & German Chamomile with Cacao & Schisandra & 2 mls FCO, when 1st mixed it smelled great, few days later it smells like chocolate coconut! Not what I’d been looking for but it might be fun for those who likes Mounds bars! 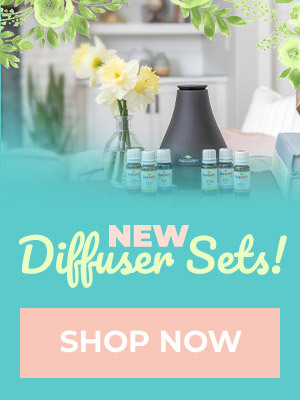 What can I mix it with for diffusing so it doesn’t stain the diffuser so badly? Thanks, I had bought a 2.5 ml and when you had make your own 6 at 15% I added this in. Should blue tansy be avoided if you have epilepsy? I see that it has camphor and I’ve read that anyone with epilepsy should stay away from oils high in camphor; however this oil is not on the list of oils to avoid if you have a seizure disorder. I absolutely adore this oil! It’s so calming. We are a very active family, so come winter (when the kiddos can’t play outside as much) things get kinda crazy. I mean, some days, they’re literally almost climbing the walls. I’ve found that when I diffuse this oil with Chamomile German CO2 and a bit of Spearmint, they seem to mellow out and can focus on their school work much more easily, which is extremely important to this homeschooling momma. I’m not gonna say Blue Tansy is the cure for “cabin fever” but it sure as sugar helps! The calming properties makes it an oil I would like to try. What would make one choose Blue Tansy over Lavender? Usually I got for Lavender when it comes to calming everyone in the home. Eager to widen my selection. I have been so undecided about blue tansy. I love the spotlight discussions. I learn so much about the oil. And makes it easier to make up my mind about a purchase. I first fell in love with Blue Tansy in the Self Esteem roll-on. It forever will be one of my favorites! 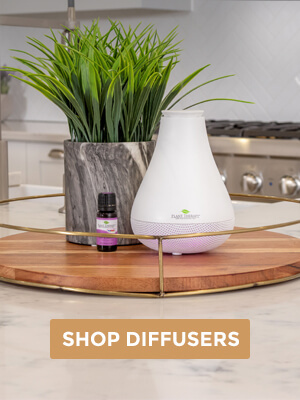 These spotlights are so great for learning more about specific essential oils. Thank you! I received a free Blue Tansy during the sales in December and I’m hooked. This oil is amazing . One sniff straight out of the bottle and it clears any congestion or nasal itchiness right up. I also love the smell. I will often just pick up the bottle and breathe it in. The scent is not for everyone, though, as it is one of the few oils my husband dislikes. I love blue tansy but it wasn’t love at first smell. I just ran out of my first bottle and hope to purchase a replacement soon, as I like to add it to many blends. thanks so much guys for teaching us all of this how to use blue tansy. I am really looking forward to purchase in the future. Can anyone tell me how Blue tansy reacts with cyp2d6? I have heard so many great things about blue tansy. I just placed my order for it. Blue Tansy is a must have for me! I keep an extra at all times. A little goes a long ways, and I use it in rubs for aches and pains, diffusing blends for calming and wellness, and personal inhaler for a quick fix concerning anxiousness and headaches. Blue tansy is one of my favorite single oil that I use in my personal inhaler. It smells very good and calm me down. I have one of the other company’s blue tansy, but because it is on sale, I am planning on buying one from PT so I have enough stock of it. Thank you, PT!! would this be beneficial in calming my dog who has anxiety issues? I have Blue Tansy but am so hesitant to use it based on cost and i don’t want to waste it. I hear the best benefit is for seasonal issues so i’m going to stick with that. Thanks PT! I’ve been on the fence about buying Blue Tansy but after reading this I’m going to have to get it! I’ve been wanting to treat myself to blue tansy for a while now. So glad to be able to get it on the spotlight special! Looking for some oils to help with allergies. This look like a good start. Thanks for providing this information about Blue Tansy. Now that it has the Spotlight discount, I’m excited to try it in an allergy blend! 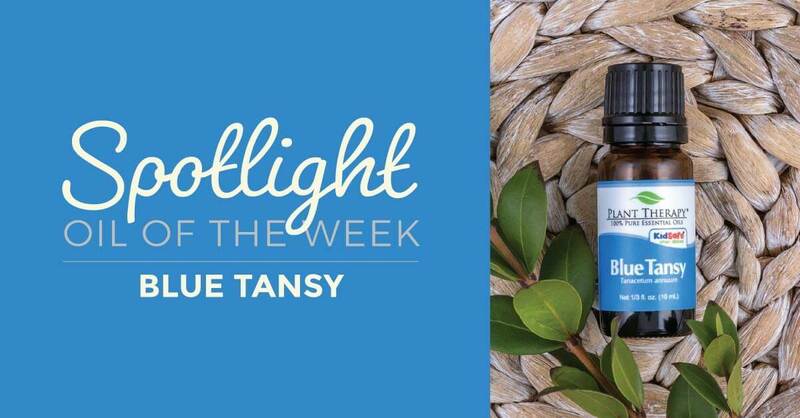 Blue Tansy is one of my absolute favorites for diffusing for stress relief and relaxation. I love this one for skin, and it turns blends such a beautiful color! That’s awesome! This guy is a bit of a splurge, so the 15% discount really helps 🙂 This is the best time to get it! I’m so glad this oil is on the spotlight. I have longed to have its blue color in my home. Thank you. I think this is next on my list. Sounds like another must have for our family. Can’t wait to try it. I am glad to learn about another kid friendly oil! This one sounds so useful! 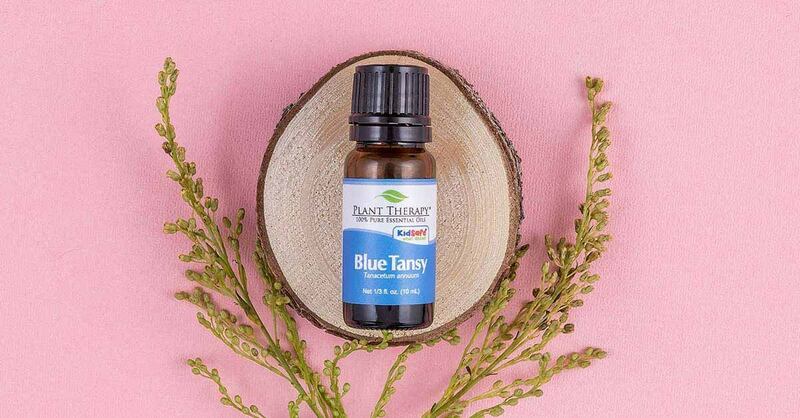 Blue Tansy is one of my favorite uplifting oils – to me, it has a fruity scent, and it blends so well with citrus! 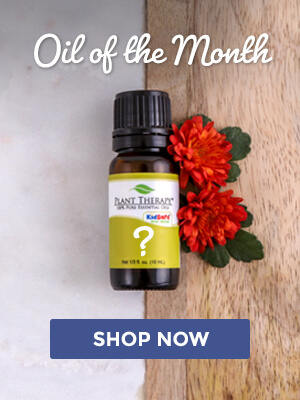 I’m excited to see it featured as this week’s Spotlight oil. I have wanted this oil for a long time. Happy to see it as a spotlight oil. Thank you PT. This is on my wish list! I can’t wait to try it out in the future. I love that it’s known for it’s calming and clearing properties because I could use that often. Supports self esteem and encourages confidence and enthusiasm: is great for someone like me who is on a health journey. What are some good combos to use with Blue Tansy in a seasonal allergy inhaler? Blue Tansy is one of my favorites! I love to use it as part of a face mask at 2%. Thanks PT for offerings it as an oil of the week! This oil has been on my list for a while, and now that there’s a coupon- there’s no excuse for me not to get it! I’m so excited this is one oil I have yet to purchase and after reading all the wonderful benefits. I will be ordering it. Hoping to benefit from calming properties.